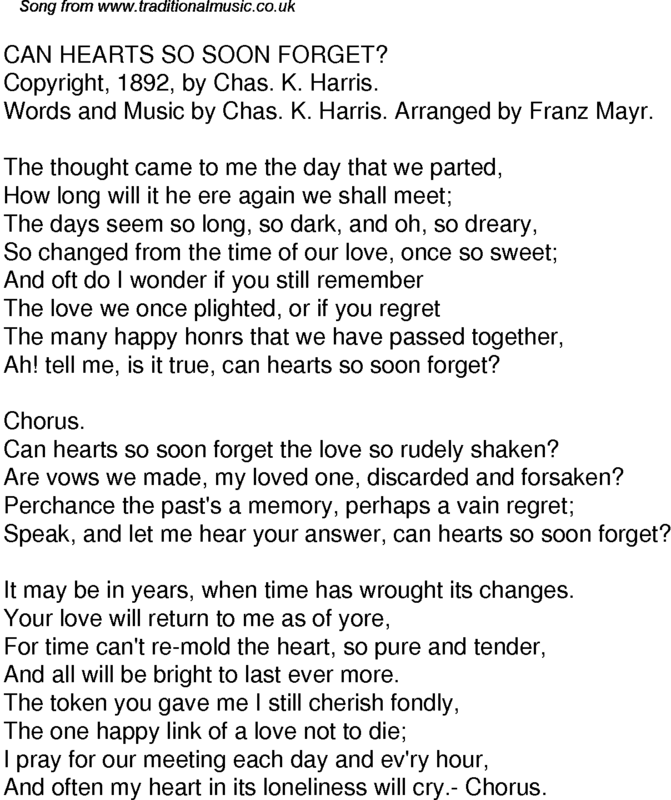 CAN HEARTS SO SOON FORGET? Copyright, 1892, by Chas. K. Harris. Ah! tell me, is it true, can hearts so soon forget? Can hearts so soon forget the love so rudely shaken? Are vows we made, my loved one, discarded and forsaken? Speak, and let me hear your answer, can hearts so soon forget? It may be in years, when time has wrought its changes. And all will be bright to last ever more. And often my heart in its loneliness will cry.- Chorus.